Blink-182 have had quite a year. From releasing their first album since 2011’s Neighborhoods to hitting the road with every pop-punk fan’s ideal lineup, the trio had some pretty epic moments in 2016 thus far. Head below for a recap of some of the best. Barker kept the beat for a star-studded performance of “Bad Man” with Pitbull, Robin Thicke and Aerosmith’s Joe Perry at the 58th Annual Grammy Awards. The group also met up the following day to perform again on The Tonight Show Starring Jimmy Fallon. 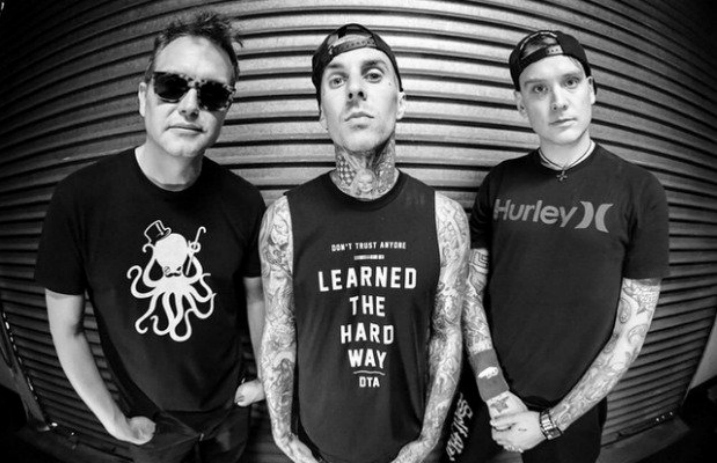 The trio dropped the first track from California, which officially marked the first time fans heard Matt Skiba in place of Tom DeLonge on a recording. Aka one of the best tours of the year. 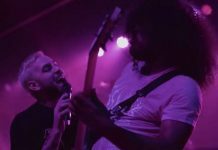 The band announced the tour at a karaoke bash where they challenged their friends and supporting acts to cover some of their hits. After changing his display name to Gerard Way, Hoppus posted several photos with dad-worthy jokes as captions. Way chimed in with his approval, leaving Hoppus’ string of funny posts to live in infamy. 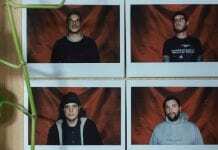 The band posted another snippet of the album in the form of a 10-hour loop. Because why listen to 15 seconds once when you can listen to it back to back…to back? They hit the stage in Austin and even updated the lyrics to “The Rock Show” for the event. 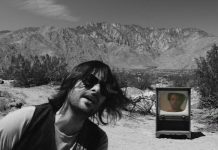 The drummer chatted on-air and dropped the track as the next taste of California. At this point, they performed “Brohemian Rhapsody” at KROQ’s Weenie Roast and streamed “Rabbit Hole” and “Built This Pool,” so releasing a video for the first single definitely helped in upping the anticipation for California. They performed “Bored To Death” and a couple classics on Good Morning America’s Central Park stage. The pop-punk trio walked in on quite an interesting take on one of their newest tracks.